Approximately 12" tall. 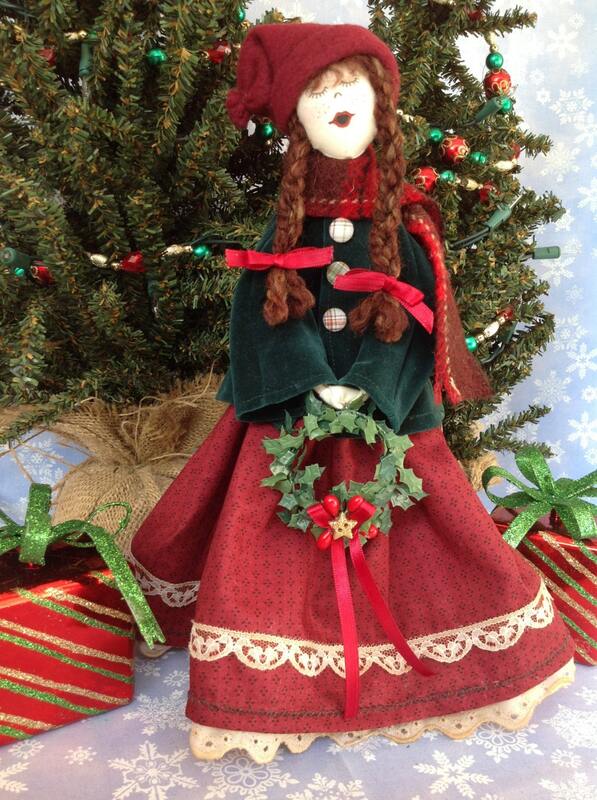 A Free Standing Victorian Christmas Girl Caroler. 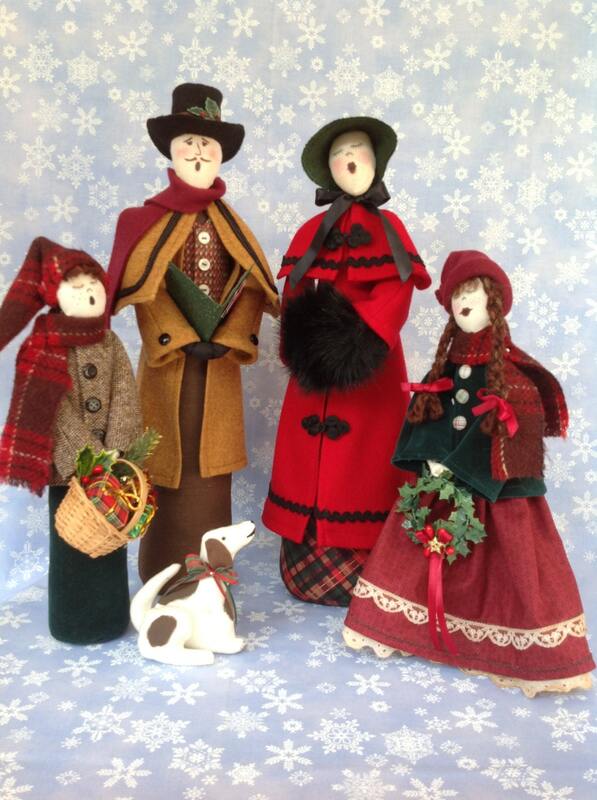 This pattern is designed to be paired with pattern# FH-136, FH-135 and FH-142 to create a lovely Victorian Carolers Family scene singing the songs of Christmas. Patterns are available individually or as a group. 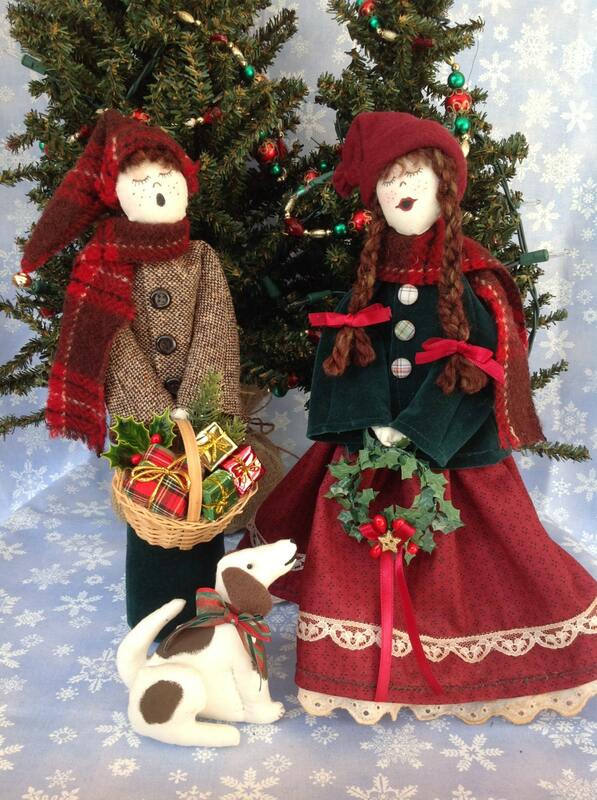 Mailed pattern comes complete with easy to follow instructions, doll pattern, clothing pattern and suggested materials list.